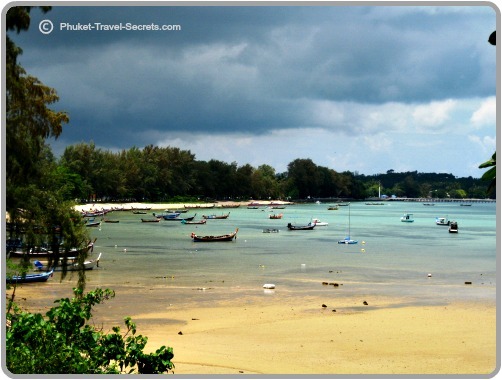 Rawai Beach lies on the south east coast of Phuket between Promthep Cape and Chalong Bay on the quieter side of the Island. Whilst the beach itself is not good for swimming, there are many aspects of Rawai that makes it a charming location to spend some time. For us, the area around Rawai is a peaceful haven away from the bustling west coast beaches and is the perfect spot to get away from the main tourist areas in Phuket. 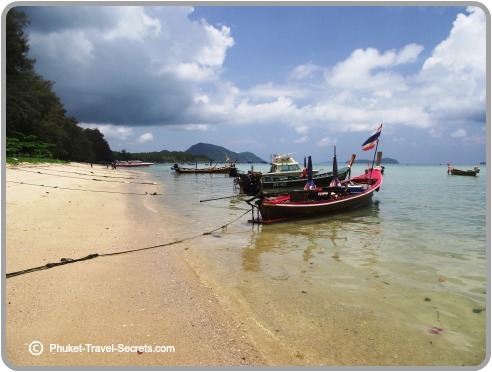 Rawai is very different to Phuket’s west coast beaches; the beach is a working beach where you will see local fishermen working on their fishing boats and organizing their fishing gear ready for their days work. The calm, shallow waters at Rawai make it a popular launching point for day trips to the offshore Islands. Along the beach you will find an abundance of longtail boats moored in the water that are available for hire, enabling you access to the nearby Coral Island or enjoy a delicious lunch at Bon Island or explore Koh Lone or the Racha Islands. If you like, you can even charter a boat to go fishing or take a tour to the offshore islands to go snorkelling, . 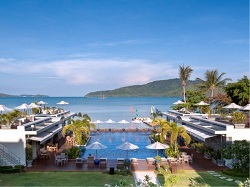 Rawai has a great mix of accommodation, from upmarket 5 star resorts to very good budget hotels. Serenity Resort & Residences is a fantastic place to stay with a range of rooms and suites that are ideal for couples or a family vacation in Phuket. The Vijitt Resort is simply stunning; this all villa five star resort has a selection of villas, pool villas and two bedroom pool villas that overlook Chalong Bay. 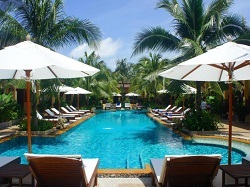 The resort has a range of top notch facilities including a stunning infinity pool, a kids club, spa, and a complimentary shuttle to Nai Harn Beach. Read more. 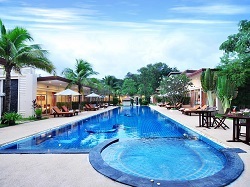 Rawai Palm Beach Resort is located towards the southern end of Rawai Beach just 5 minutes from Promthep Cape. The resort features a good selection of room to suit all types of travellers, whether you’re travelling with friends or family. Read more. 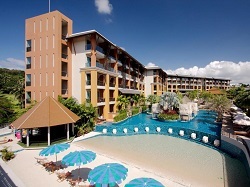 Phuket Sea Resort won’t break the budget, but this resort will provide a variety of facilities and amenities that you would expect in a more expensive hotel. The resort is set in a great location, close to a range of fantastic restaurants and just across the road from Rawai Beach. Read more. 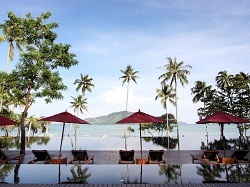 Le Piman Resort offers great value for money; this small unassuming resort is a hidden gem in Rawai. The Villas are clean and spacious, all of which have direct access to the swimming pool and feature a kitchenette with microwave, living room, private bedroom and en-suite. Read more. The main attractions at Rawai for us personally would have to be the great views of the offshore islands, the array of wonderful seafood restaurants and the laid back lifestyle. At the northern end of Rawai beach near the Pier you will find the Sea Gypsy Village and the popular Rawai Seafood Market. Here you can purchase your seafood from the village markets and then take it to one of the nearby restaurants where they are happy to cook it for a small fee. If you do visit Rawai take some time to look around the exhibit of seashells at the Phuket Seashell Museum or if your traveling with kids make your way to Rawai Park Kids Club where you will find a host of fun activities for the kids. Not to be missed when on holiday in Phuket and while exploring the area around Rawai is Promthep Cape, this is one of the best and most popular viewpoints in Phuket. The road that runs alongside Rawai Beach is dotted with a selection of good restaurants and bars; one of our favorites is Nikita’s. Nikita’s restaurant is set on the beachfront at Rawai with wonderful views overlooking the ocean and out to the offshore islands, serving delicious food with excellent service, take a peak at their menu. If you like seafood and don't mind the smell of a fish market head to Rawai Seafood Market. Rawai Ocean Seaview Restaurant is another top spot to stop off for lunch; the restaurant is located on the way to Promthep Cape from Rawai. Meals here are absolutely delicious, and the elevated location of the restaurant provides magnificent views overlooking the beach. The beach at Rawai is not a swimming beach and you won’t find sunbeds, jet skis or banana boats. However if you do choose to stay at one of the hotels and resorts in Rawai, there are better beaches to swim at such as Nai Harn or Yanui. 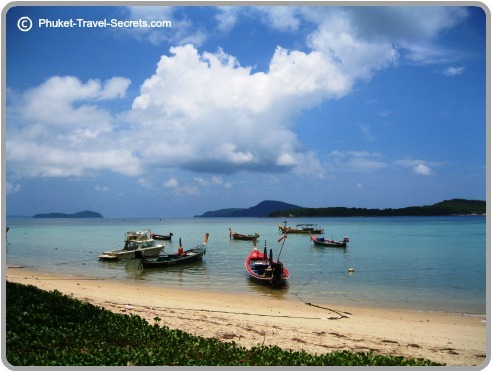 These two beaches are only a short distance away and most hotels and resorts in Rawai will provide transport to them. 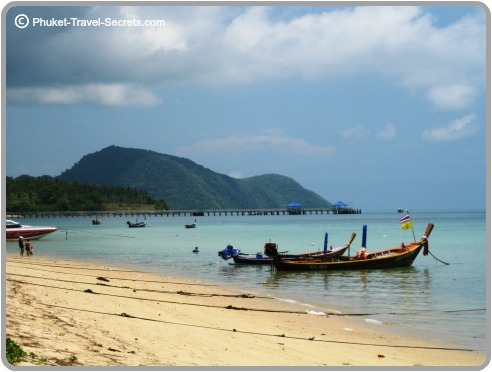 Rawai is about a 30 minute drive south from Patong Beach. 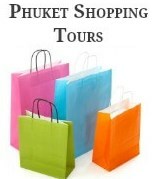 From Phuket Town follow the 4021 Road, south to Chalong Circle then take the 4024 Road south from Chalong Circle.